Welcome to the JVNP 2.0 Update featuring a primary JV request courtesy of fellow JVNP 2.0 Partner Bill Guthrie (Online Legal Pages – JVZoo affiliate program JV invite), Buzz Builders (Travis Stephenson – Commission Jailbreak CPA, Glen Ledwell – Mind Movies 3.0 Re-Launch, Old Tree Publishing – Russ Horn – Forex Strategy Master, Peter Garety + Andy Fletcher – Instant Traffic Websites launches) and More … in Today’s legal protection profits edition. 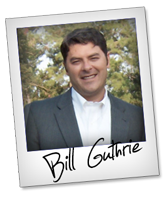 Bill Guthrie here, and I want to personally extend a VIP Invite to the official launch of Online Legal Pages. This is your shot to get in on the ground floor of a HUGE JVZoo #!! What is Online Legal Pages? It’s a fact that websites require core policies and disclaimers to satisfy Google, site visitors, and just about every company they come in contact with. These documents provide assurances for site visitors but also can provide significant protections for site owners. You just fill out a couple of data fields, hit “submit” and your customized forms will be ready in seconds! You wouldn’t trust your legal protection to some developer, would you? Do you want some software guy’s “cobbled together” legal documents be what you’re showing to a judge, or a government agency? I’m not kidding, this launch will be absolutely CRAZY! One of those rare occasions when EVERYONE is a legitimate prospect. Really. Everyone with a website who can’t afford to pay an attorney $8,000-$10,000 in legal fees should add Online Legal Pages to their “smart business” purchases. And you’re going to rake it in for showing it to them! Let me know if there’s anything you need…looking forward to helping you make a boatload of commissions. Sean Clark, Alex Mandossian, Anthony Morrison + DC Fawcett, Ricky Mataka + Chris Farrell, Maria Veloso, Rob Toth, Chad Hamzeh, and other fellow JVNotifyPro 2.0 partners are waiting in the wings … keep your eyes on your Inbox, and follow the action in the JVNP 2.0 Premium VIP JV Announcement archives.